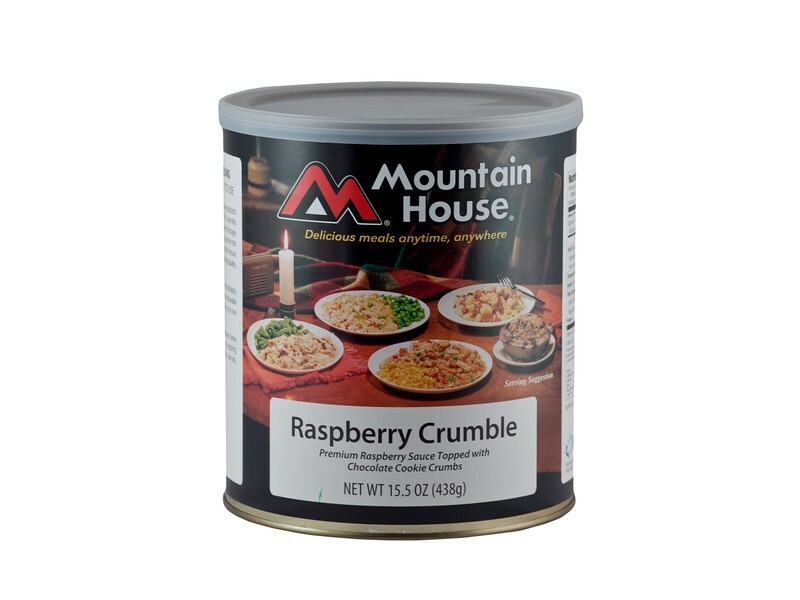 #10 can of raspberry crumble is a great tasting, easy to prepare dessert from Mountain House. With a 25 year shelf life, you can enjoy this food any time you want. 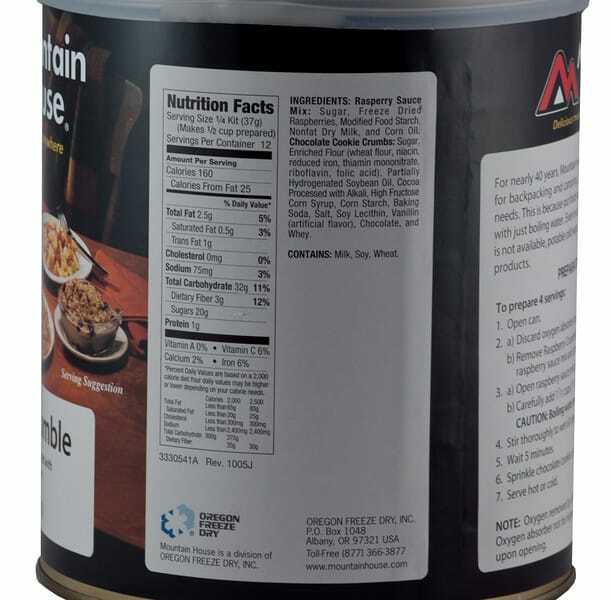 Having dessert, even in emergency situations, is a great way to help keep everyone’s spirits up, and with such as easy to store and make option, this is the perfect addition to any emergency food storage program. In addition, this delicious dessert will provide everyone with the much needed calories they need to keep them strong. 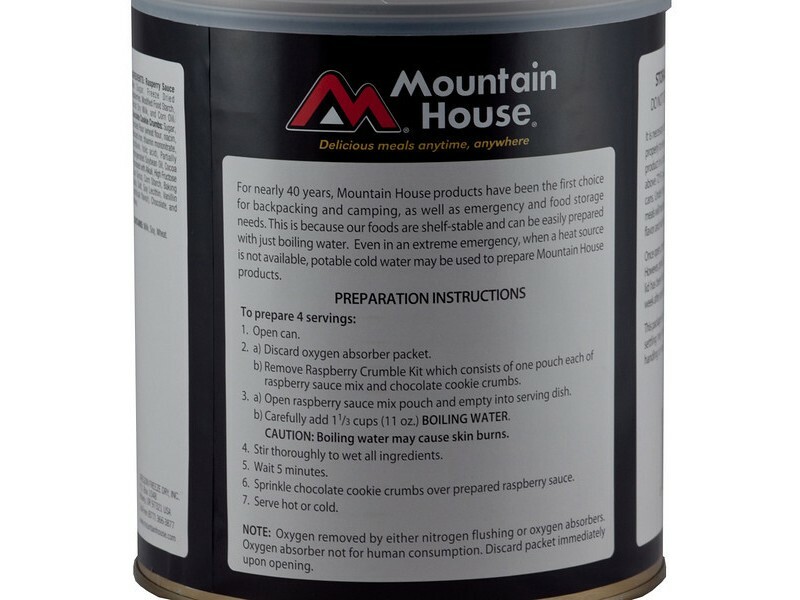 Mountain House has put together an incredible snack to add to their already impressive emergency food product selection. This premium raspberry sauce topped with chocolate cookie crumbs will have everyone satisfied, no matter what type of situation you’re in. 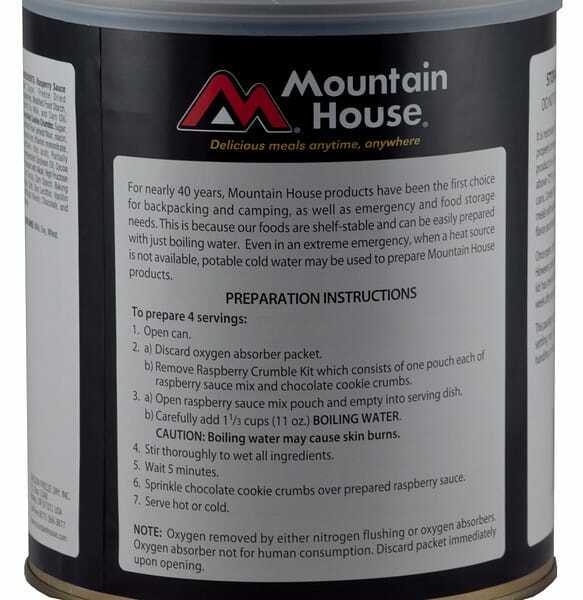 Great for disaster preparation, or just taking with you camping or hiking. Some people even buy this dessert to eat at home anytime because it is so simple to make, and still tastes great. Each order will come in a #10 can containing 12 full ½ cup servings. Storage is extremely convenient, since it will last on a shelf for 25 years or more without a problem. Each serving provides 160 calories, 1 gram of protein and 2.5 grams of fat, which is extremely important when in difficult situations. This is a great way to get calories into the body, even for people who normally have very picky tastes. 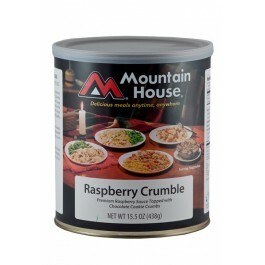 Having great foods like this raspberry crumble from Mountain House is very important for long term survival situations. It provides a nice snack for celebrating, or just to get some variety into your meal planning. Whatever you use it for, everyone will be glad that this dessert is available. 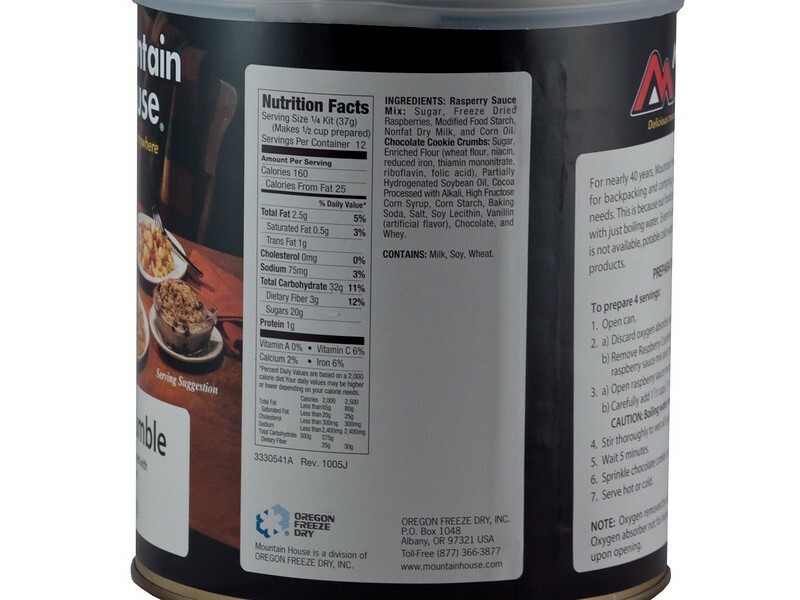 One can contains 12 1/2 cup servings.